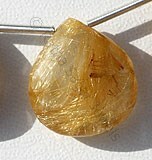 Are you looking for a unique shape for Lemon Quartz? 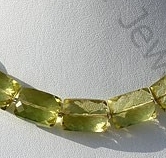 Take a look at our faceted rectangle shape. 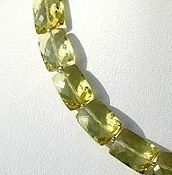 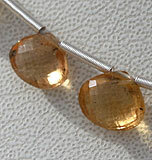 A Lemon Quartz Faceted rectangle shape looks unique and captivating at the same time. 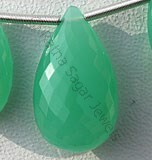 Ratna Sagar Jewels have introduced a classic collection of faceted rectangle beads for gem lovers looking for gemstone in rectangle shape. 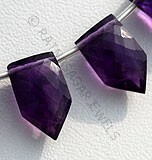 Browse through our huge collection of faceted rectangle beads and choose the one you love for your next jewellery project. 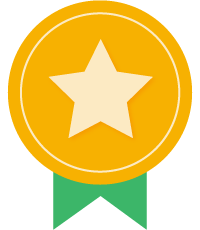 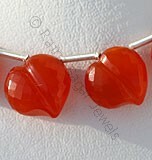 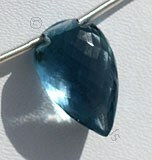 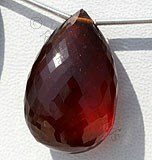 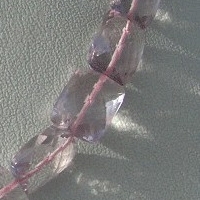 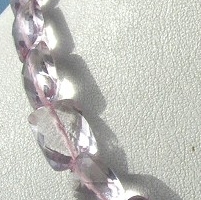 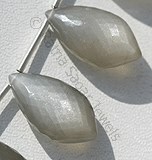 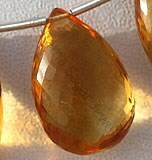 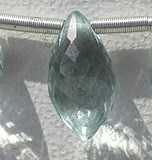 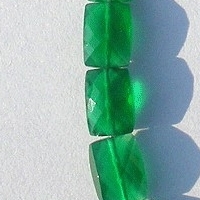 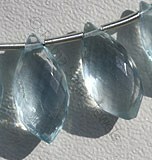 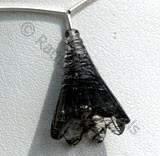 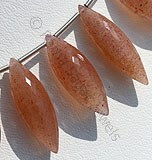 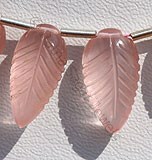 The shape can be easily used in any jewellery design. 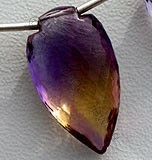 The reason behind introducing the shape apart from its outline is the positive qualities it represents. 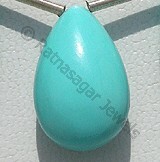 A rectangle shape symbolizes solidity, equality, uniformity and trust. 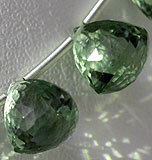 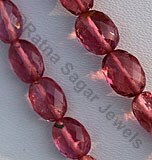 The shape unites with power of gemstone to fill the life with happiness. 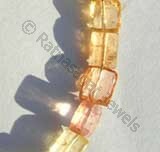 Our high quality faceted rectangle beads include Lemon Quartz, Imperial Topaz, Pink Amethyst, Crystal Gemstone, Green Onyx, etc. 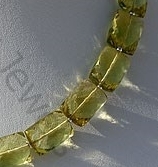 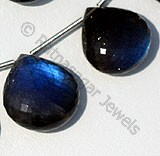 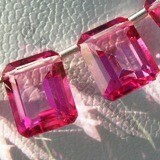 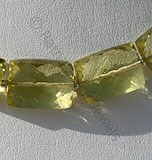 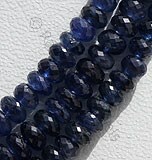 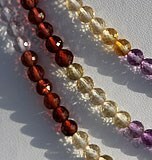 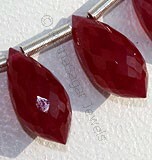 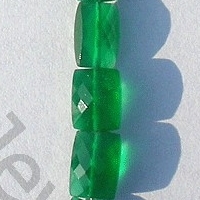 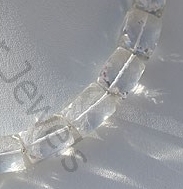 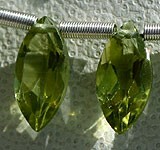 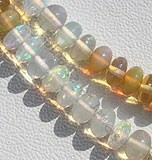 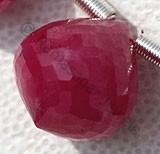 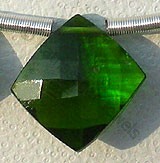 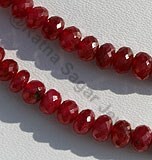 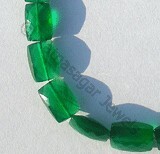 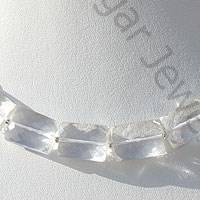 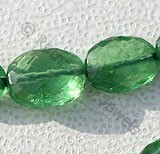 Order today Faceted rectangle gemstone Beads, and get the powers of gemstone in a wonderful rectangular design. 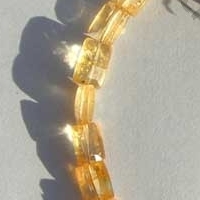 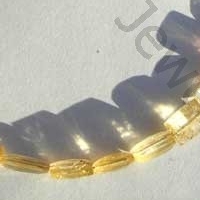 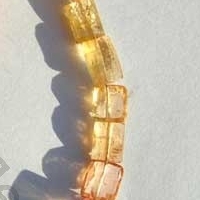 Natural Imperial Topaz Gemstone Beads possess property of Transparent, natural veins and are available in lustrous golden orange yellow and pink colour with micro cut, Rectangle Shape. 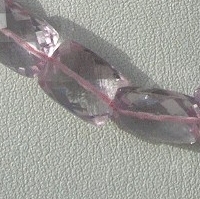 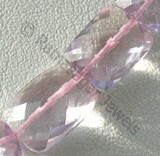 Pink Amethyst Gemstone is a violet-pink variety of natural quartz, possess property of transparent and are available in light pinkish-violet color with micro cut, Rectangle Shape. 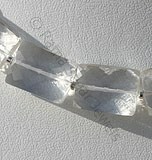 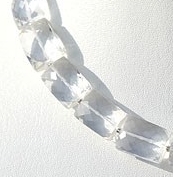 Crystal Gemstone is a variety of natural quartz, possess property of transparent with vitreous luster and are available in colorless with micro cut, Rectangle shape. 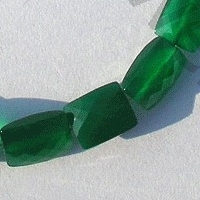 Green Onyx Gemstone is a variety of natural white chalcedony quartz, which is treated with deep green color, possess property of translucent with vitreous luster and are available in green color with micro cut, Rectangle Shape.